People say a lot that our life is like one big tapestry. Although our lives seem to have a lot of loose threads and bumpy places, we are failing to see it from God's perspective. It is He who can see the other side of the tapestry... how all of those threads come together to create a beautiful picture. Our lives are divinely woven together. There are no coincidences... not when spiritual matters are involved, at least. 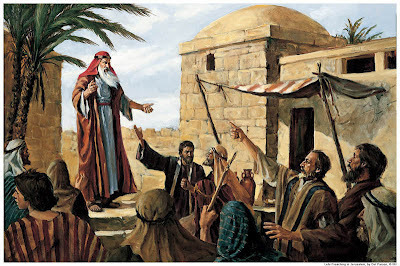 In seminary we have been learning about the prophets that lived about 600 BC. And how their lives were connected. 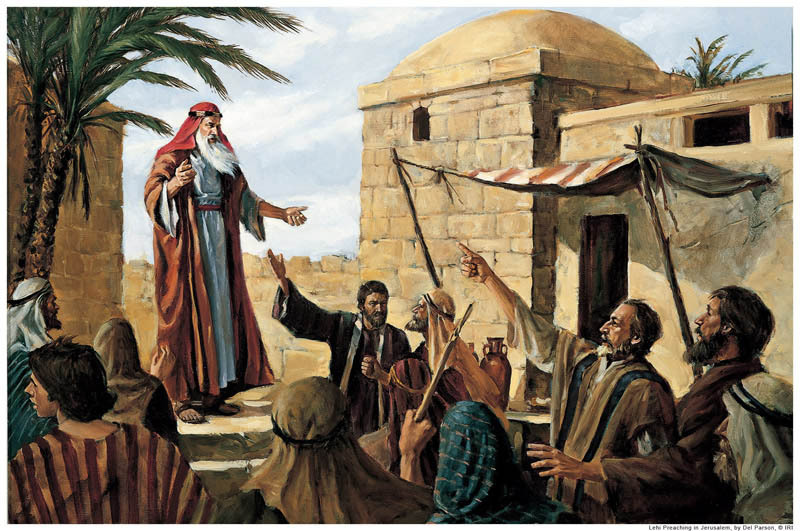 In the Old Testament, Jeremiah told the people living in Jerusalem to repent... or their city would be destroyed. Can you think of who else did that? Lehi. In the Book of Mormon. At the same time. In the same city. 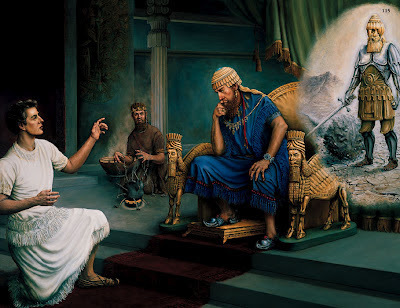 Also at the same time... Daniel was interpreting King Nebuchadnezzar's dream in Babylon. Not even fifteen years later... Jerusalem was destroyed. But Lehi was gone by then. He had left to go to the promised land. Zedekiah, who becomes king of Jerusalem, watched all of his sons be killed, and then he himself had his eyes put out and was blinded. But my point is that I learned a really cool lesson today... I mean... we study the stories. 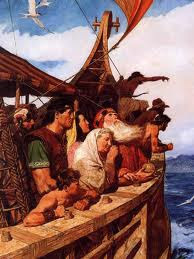 I'm sure you know Daniel's story and Lehi's story, but it's fun to see exactly how they connect together. Just another little reminder that when you study the scriptures - not just read them - you will get a lot more out of it!! P.S. Check out the post I wrote on Piano Mastermind here!! Dare to Stand... Even If You Stand Alone.